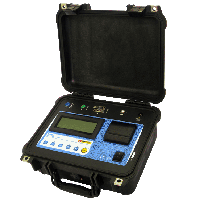 Reliable instruments for safe and accurate measurements. More comfortable and safe measurements with full control using a smartphone or tablet. Up to 10 years (2000 cycles) without replacing the internal battery. All Tentech branded equipment are manufactured in the US. 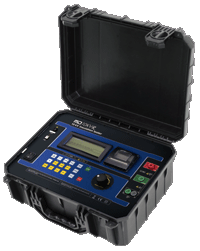 The digital insulation tester model MD15KVR is TENTECH's cutting edge insulation analyzer equipment and it is one of the most complete and sophisticated available in the international market. A powerful software allows for further analysis of tests results, including features such as graphical representation and automatic report generation. 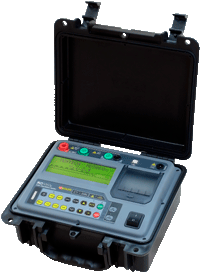 Its proven technology provides safe, reliable and accurate measurements of insulation resistances up to 15 TΩ, with 4 preselected test voltages, 500 V - 5 kV - 10 kV - 15 kV. 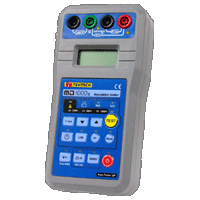 Other test voltages may be selected in steps of 25 V, 100 V or 500 V.
The TENTECH MD1000R is a smart, microprocessor controlled, 1 kV insulation tester for up to 200 GΩ resistance measuring with 250 V, 500 V and 1000 V test voltage. 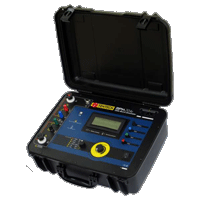 It is a portable, handheld, battery powered equipment. Due to its measurement principle (actual voltage and current readings) it is a "true megohmmeter" and so the accuracy of resistance measurement is not affected by any test voltage error. 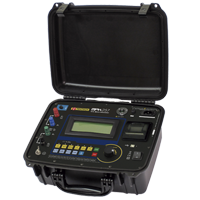 The TENTECH MD5060x is a smart, microprocessor-controlled, 5 kV insulation tester and analyzer. Besides the conventional measurement of insulation resistances up to 5 TΩ, its advanced features allow to automatically measure both the polarization index and dielectric absorption index, thus significantly simplifying testing of transformers. Equipment with Bluetooth interface can be remote controlled by an Android device (smartphone or tablet). Equipment's internal memory can be accessed by a desktop software that allows to download all memory data. 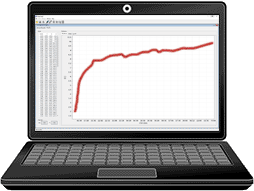 It also can be used to make analysis of the test results and automatic report generation. 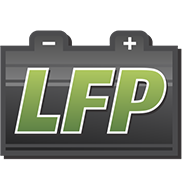 In contrast to other lithium battery technologies commonly used, LFP batteries are thermally and chemically stable, significantly improving battery safety.